So many of us want to obtain that one huge word in our lives. Whether it’s how we dress, how we keep our homes, the grades we strive for, or the relationships we hold, we believe anything short of perfection is a fail. But perfectionism isn’t what God is looking for because he knows the only one who can meet it is himself. That’s why I love today’s verse so much. See, God knows what we are really like. He’s sees the smudges and streaks that mar our lives…and he’s okay with it. We cannot hide our imperfections from him, and that’s okay. In fact, he expects us to have them because he knows that we’ve all fallen short of his glory—it’s why he sent his son to save us. Our worth isn’t measured in how close we come to being perfect—thank you, Lord! And we don’t need to hide our imperfections from him—he already sees them. While we may be able to put on a mask for the people around us, God knows what we are really like. He knew it before we came to him, and he knows it even after he folds us in his arms. It doesn’t stop his love for us or prevent him from accepting us. 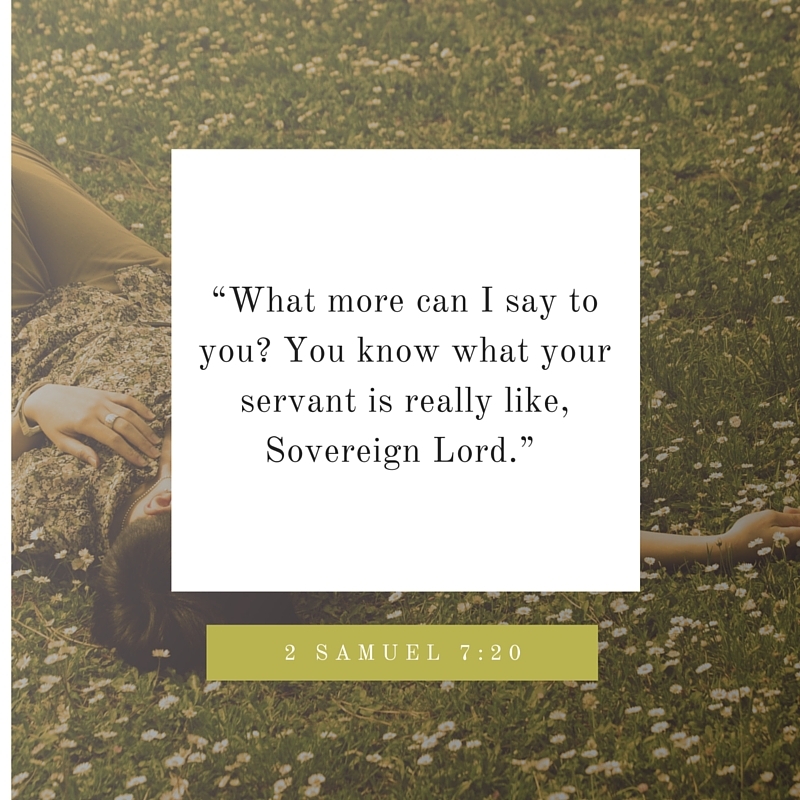 Oh, he wants his best for us, so he’ll coax us to change anything that isn’t in his perfect will, but it will never stop him from calling us his very own. Isn’t there comfort in knowing that someone sees you just as you are and loves you unconditionally even still? Let that love surround you today. Lord, you see me for who I truly am. You know my successes and failures all in one glimpse, and yet you love me. Today help me to let go of anything that is out of your perfect will and to feel your grace and mercy for my imperfections. Above all, let me feel your unconditional love for me today. Thank you, Lord. In your name, amen.